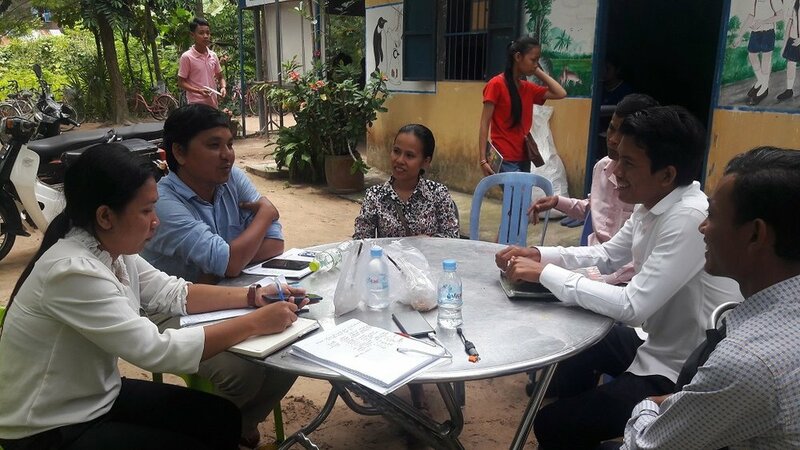 We are very pleased to announce that resulted from the initial assessment, which was made on September 17, 2018, the iHerb Charitable Foundation, through the coordination of Cambodian Children’s Advocacy Foundation Organization (CCAFO), granted fund to support salary of teachers and utility expenditure until December, 2018 to Takin Foreign Language Center (TFLC). TFLC is recognized by the Svay Rieng City Hall Governor Office, with license number 001/05ក.ស្វរ/ច្រ១, dated February 10, 2015 and validation February 10, 2020. TFLC is situated in Koy Trobaek Village, Koy Trobaek Commune, Svay Rieng District, Svay Rieng Province Cambodia, eastern part in Cambodia. Image: CCAFO Management Team join the sharing session with the TFLC team during the initial assessment. Image: Students join the morning English language class. Image: Students participate in morning basic computer class. Image: Students enjoy playing sports before attending class.